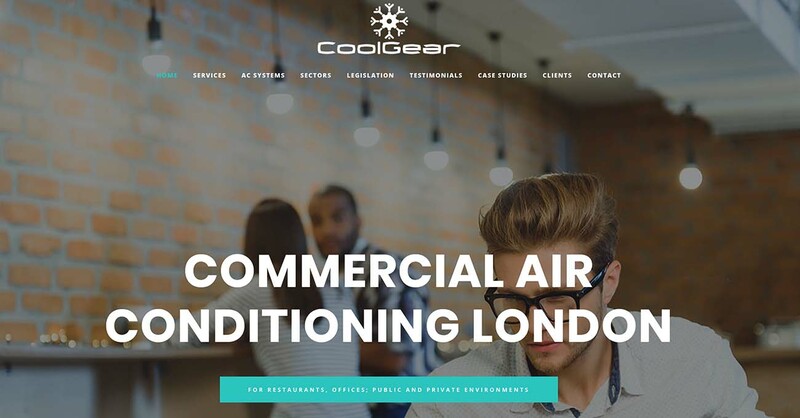 CoolGear is a brand new air conditioning design, supply and fitting company in London. Their professional engineers can provide the maintenance and breakdown requirements for all air conditioning and heating systems. CoolGear is owned by one of our long term clients. We worked on the marketing, naming and design of the brand over six months. The site was also written and designed by Click web design. It is a WordPress based website. We host the site and handle the domain name.